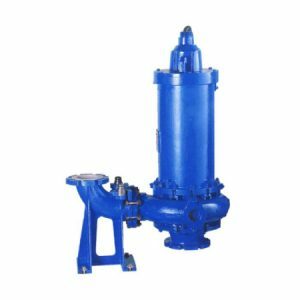 Phantom Pumps is the supplier that fluid processing professionals across the country turn to when their worn out or broken deep well pump or submersible sump pump equipment needs to be replaced. We manufacture high and low pressure pump lines that are filled with everything from mining pumps, chemical and abrasion resistant pumps, slurry pumps, sewage pumps, and trash pumps to industrial water pumps, shallow and deep well submersible pumps, irrigation pumps, and more. At Phantom Pumps, we ensure pumps meet and exceed the highest industry standards through our strict quality standards. All of our pump equipment is assembled, tested and packaged in the United States. Our exceptional team of engineers work with clients to cross-reference and match deep well pump equipment currently in use at their operation facilities to the centrifugal and hydraulic pump equipment offered at Phantom Pumps. Each submersible sump pump recommendation is carefully matched to your operation requirements and specifications. Phantom Pumps distributors are the local experts that industrial processors and construction firms in for Georgia, Louisiana, North Carolina, Ohio, Texas and across the US can always rely on for unparalleled application expertise, installation and start-up assistance for deep well pump and other processing equipment. Our distributors also offer continual technical support. Contact an industrial pump specialist today for quotes and pump data sheets.